How can cities integrate historic layers into their urban development? How can tangible and intangible heritages be read, interpreted and utilised in a sustainable city and landscape development? What significance could an ancient road have in this context? These are the overall questions in this book. 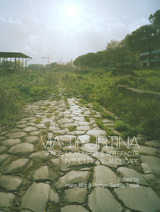 It contains a number of different approaches to the interaction between the ancient road Via Tiburtina and the surrounding urban landscape east of Rome towards Tivoli, a rich palimpsest of distinguishable interrelated layers created over at least three millennia. One hypothesis being explored is that structures like Via Tiburtina still can determine the morphology of the urban landscape. Settlements, buildings, space, movement and cultural artefacts have therefore come into focus in investigating whether broken connections could be re-established, and thus creating a dialogue between Rome's earlier epochs and the future.